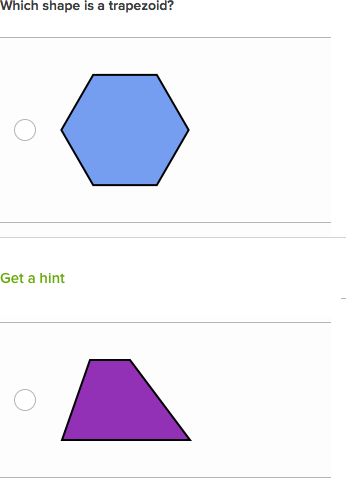 Khan Academy's latest update includes more material for "early math". Previously the lowest level of math was 2 + 2. But early Math needs greater depth. Now students in the grade 1 will be ale to utilize Khan Academy to develop their early Math skills in more then twenty new ways. 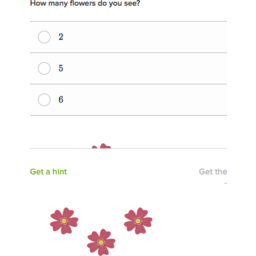 Khan Academy Practice is a website where you can learn Math. When you look at it, it kind of looks like a spider web. At the top of this web you have the simplest of all math, simple addition. Questions like two plus two. As you get questions right you move down the web and slowly do math topics that get progressively more challenging. All the way down to high school math! It was started by a man called Salman Kahn. Salman wanted to tutor his cousin Nadia and being really good with computers he decided to create a video and then post the video to Youtube. This worked really well because Nadia lived in a different city. After a few months Salman started receiving emails requesting more lessons and thanking Salman for his great videos. It seems that Nadia was not the only one watching Salman’s videos! Salman now has around 3300 videoswhere he teachers all things from Math to Science and History. Salman Khan was recognized for his good work and was awarded money from Microsoft and Google to continue his non-profit work. 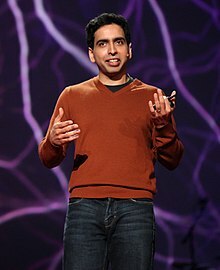 This money was used to expand his list of videos and also to launch what we now know as Khan Academy Practice. Khan Aacademy Practice is Salmans ultimate online tutorial tool. Giving students plenty of opportunity to practice, get hints and utilize his videos as and when the student needs them. Click on the logo at the top of mrpearse.com. Click on the Google logo to login using your Google Docs/Drive account. Click on the first subject at the top of the web. Can I Work On This At Home? You can work on Khan Aacademy Practice at any time. At home, at school even on your parents smart phone. First of all, a classroom website is the MOST important tech tool in the classroom. In my years of teaching and after working with 100′s of teachers, 1000′s of students and presenting at conferences…this one really is a no brainer. The long and the short of it is…as long as you use a web based website tool, your good to go. It will be never be outdated, obsolete or have to be redone. They call it mashing. When one technology mashes itself into the next technology and so on and so on. Eventually blogs, wikis and websites will all morph and mash into something that hasn't even come about yet. There are many tools to choose from. This site is based on WordPress technology. Its awesome. But for school districts we need something that can be scaled for large numbers of teachers, PD can be easily rolled out and teachers can support and help each other to creatively develop their sites. This posting is not about which is the best tool. Its more about moving forward with a simple tool that all teachers could utilize and be successful. I recommend Google Sites for beginner to medium level skilled teachers and wordpress for highly skilled teachers. Simple to use for teachers with low tech skills. Perfect for medium tech teachers and will grow and expand for advanced users. Intuitive (yes…my favorite word). By looking at it, you can figure out what to do next. EVERYTHING will embed like: Glogster Posters, Prezi presentations, presentations, spreadsheets, videos, music and more. Teachers private and school use of gmail and Google Drive (one stop shop). Use my teacher template starter. Includes all necessary pages and setup for a successful website. The delete, modify and change look to suit. What Tips and Tricks Do You Recommend? Buy yourself a .com like mrpearse.com and then create a URL stealth redirect. This will mean when someone types in your .com it will point at your new Google Site. Click here for more info. Make a list of your curriculum and match that with videos and games. Click on my website mrpearse.com for more ideas.